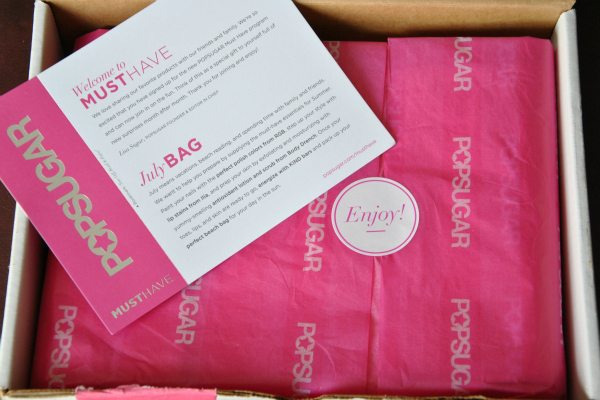 I've been a huge fan of Popsugar.com for years so when I read that they were starting their own beauty/life subscription service; the Must Have Bag; I was very intrigued to try it out. 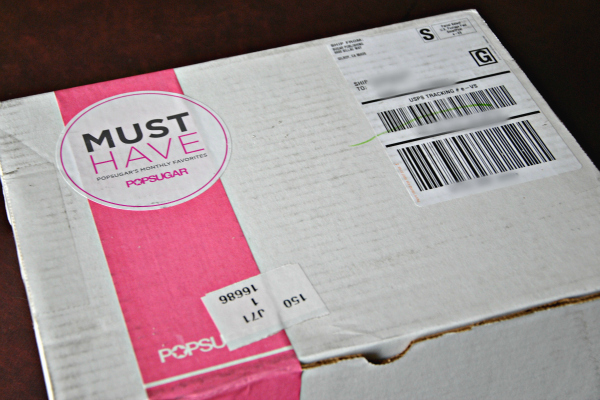 What the site claimed: "Every month, the POPSUGAR editorial staff curate an exciting bag full of fun products from fashion, beauty, home decor, fitness, and more. 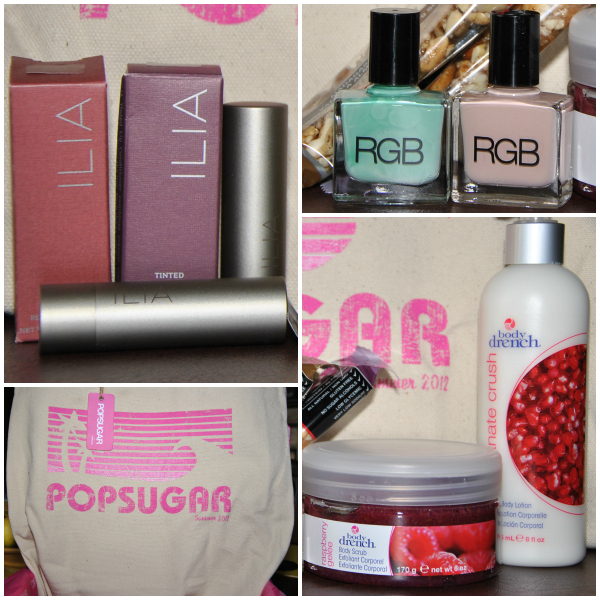 Each bag will include a variety of full-size products worth over $100." The specifics are: "Hand-selected by Popsugar editors, full-size products & premium items, one-of-a-kind bag every month, only $35 a month, with free shipping." Ready for the review? Ilia Lipsticks- I never heard of Ilia before but am very excited to try it. The colors are rich and go on very smooth. RGB Polish- I have always wanted to try these polishes. The Doll is described as a calamine pink and considering that I used to dye my Barbies hair with the Calamine lotion I'm very excited to try it out. Body Drench- I'm not a fruity scent wearing person so these two items will be going to my niece who loves smelling things. Kind Bars - I feel like these were bag fillers. I mean seriously they could have put some jewelry or a candle or something in instead. But nope, I got two granola bars. I'm sure they'll taste great but not $35 worth. I have to be fully honest with you. I was extremely disappointed with this Must Have bag. When I signed up the site said everywhere that you would receive over $150 in products, then they lowered it to $100 those sneaky thieves! Everything was full size like they promised and each item came individually wrapped which made it feel a little like Christmas morning. Yes, the bag is super cute and the products are nice, but they aren't "Must Have" items for me, especially not for $35! There are so many other subscription services out there that you get custom curated trial items for for less money! I do need to remember though that these are full size products. The other thing I was a little disappointed about was that nothing in the bag made it a lifestyle bag but more a beauty bag. I was expecting so much more in this bag than what I got. Knowing what to expect now I will be keeping my subscription for another month and hopefully August's bag will be better. Expect a review on it as well. If you are interested in trying the Must Have bag for yourself I would get your bag soon as July's bag did sell out. You can sign up HERE. Disclaimer: This is a review based on my opinion only. Your opinion may differ. I was not compensated in any way for this post and all opinions are my own. I love #1 and 3, can't believe how cheap they are. Those monthly beauty things are hit or miss... but I love RGB nail polishes! Thanks for your comment, follow each other on gfc and fb? I have been using Ilia for a while now, and they are great organic lipsticks, but I agree with you, it is not a MUST HAVE bag, disappointing! What a nice goodies box. eek...not worth $35! i totally agree with webhautejas...for that price...i would rather go buy what i want and do a review. =( i'm a little sad because i was hoping for a great review! but thank you for being our guinea pig....ha ha!